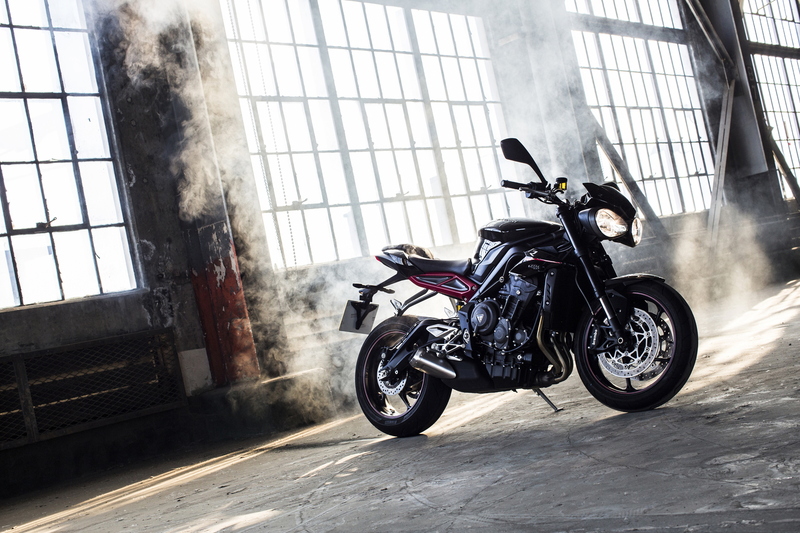 Ten years on from the Triumph Street Triple’s debut, the British motorcycle legend has given its most popular model range a comprehensive overhaul for the 2017 model year, providing three more powerful, more aggressive and all together more triple-y bikes for the hugely popular roadster sector in which Triumph is the current market leader. 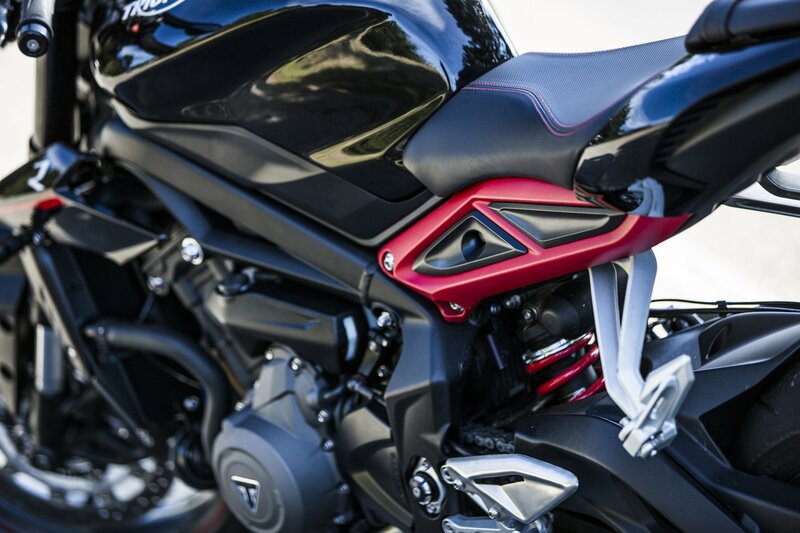 The biggest change to the 2017 Triumph Street Triple family is undoubtedly between your legs where the venerable 675cc engine has been swapped out for an all-new 765cc unit, developed from the race-bred Daytona powerplant and available in three different states of tune. 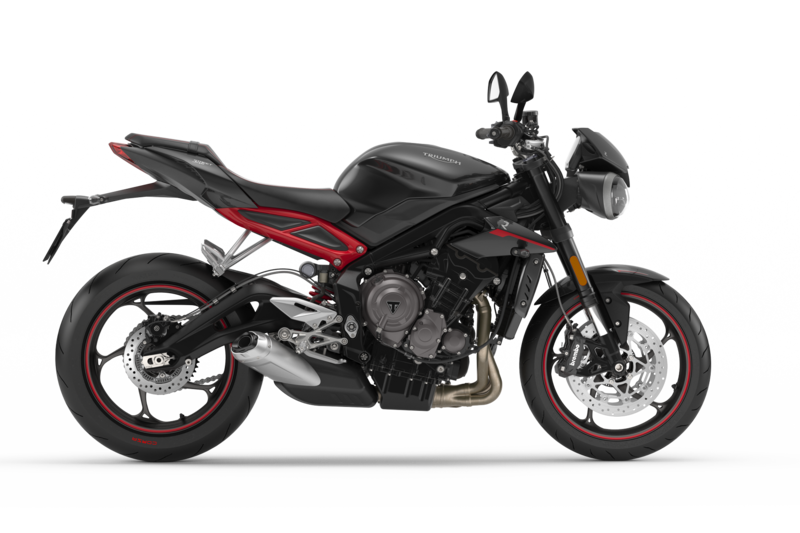 The 2017 Triumph Street Triple R keeps its trademark red accents to go with the new, more aggressive aesthetic. 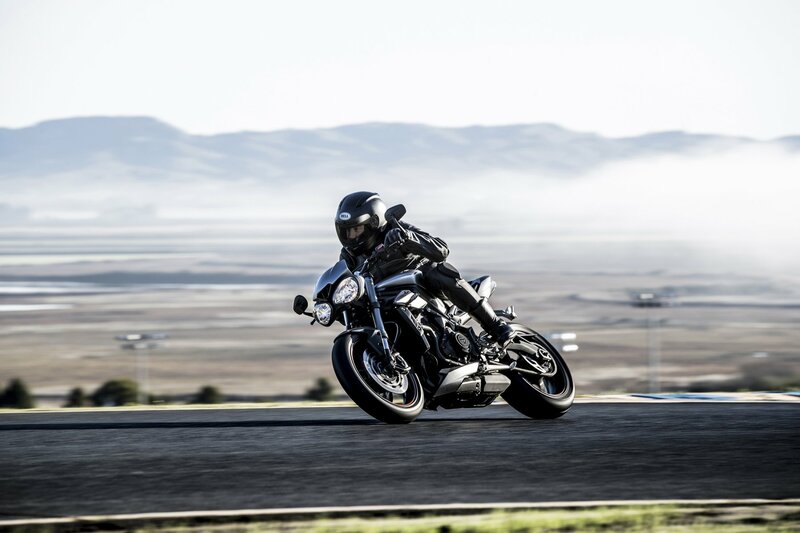 The new Street Triple S, R and RS all benefit from impressive power and torque hikes, with the latter model – the most potent in the range – seeing a 16 per cent increase in thrust to 123hp at 11,700rpm. 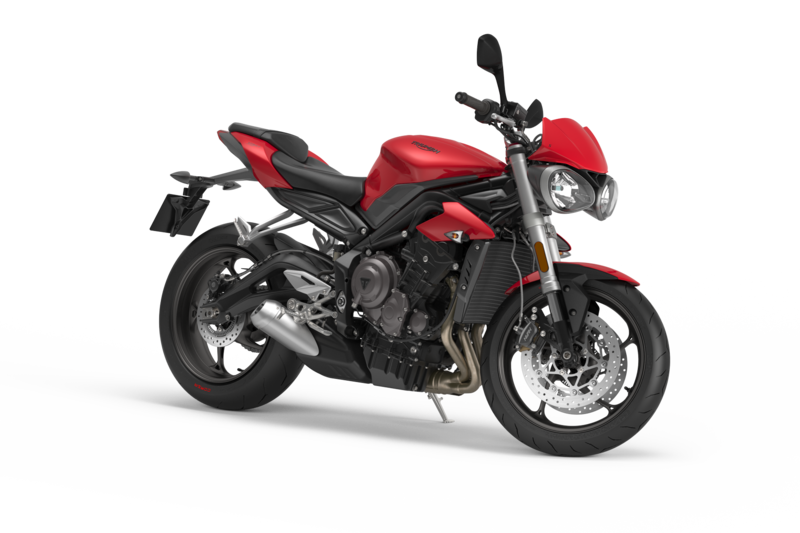 A freer flowing exhaust and revised intake box help all three models to produce a spine-tingling soundtrack (we know, we’ve heard it) while a new ride-by-wire throttle system has allowed Triumph to provide different riding modes on the updated roadster trio. 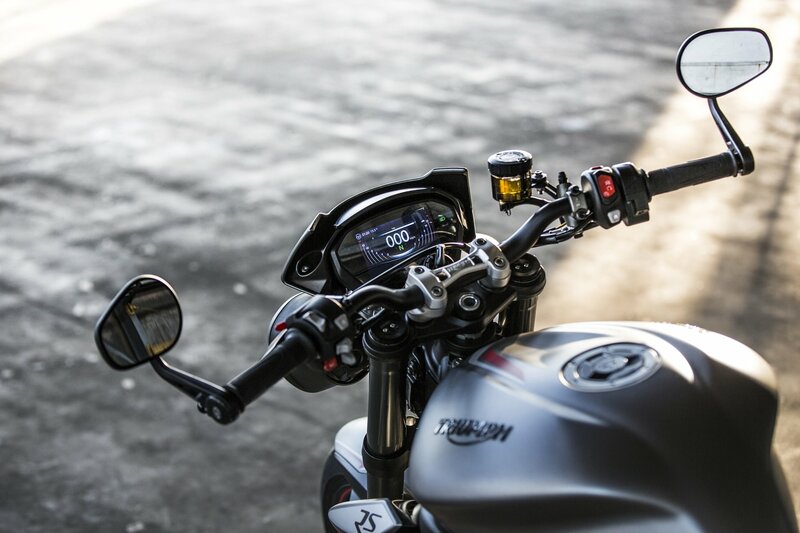 On the R and RS models, the different modes (controlled via thumb joystick on the left-hand handlebar) are paired with a rather impressive new five-inch TFT instrument cluster, providing new Street Triple riders with a range of low and high-contrast displays tailored to their particular riding focus. 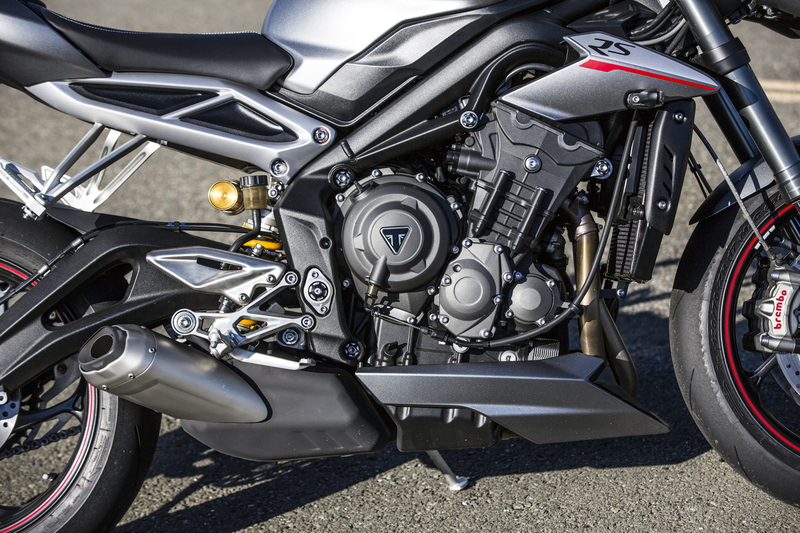 Despite the bigger engine and the addition of new tech, Triumph has managed to actually trim some weight from the 2017 Street Triple’s waist, the new bikes hitting the scales at 166kg. The level of fit and finish is impressively high across the range. The new RS also gets a quickshift kit as standard. 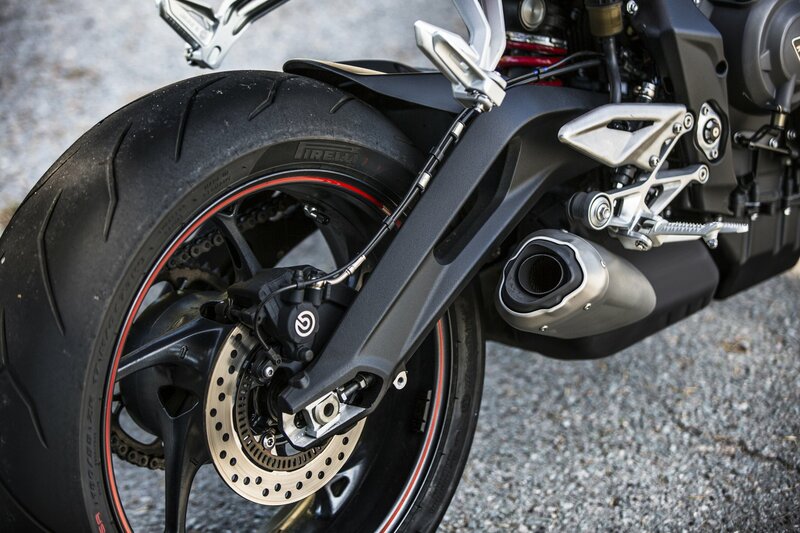 Combined with a new gullwing rear swingarm design, the British firm feels this brings an all altogether more agile ride over the outgoing models and, until we’ve ridden them, who are we to argue, especially with testimonials from the likes of four-time World Superbike champion, Carl Fogarty? 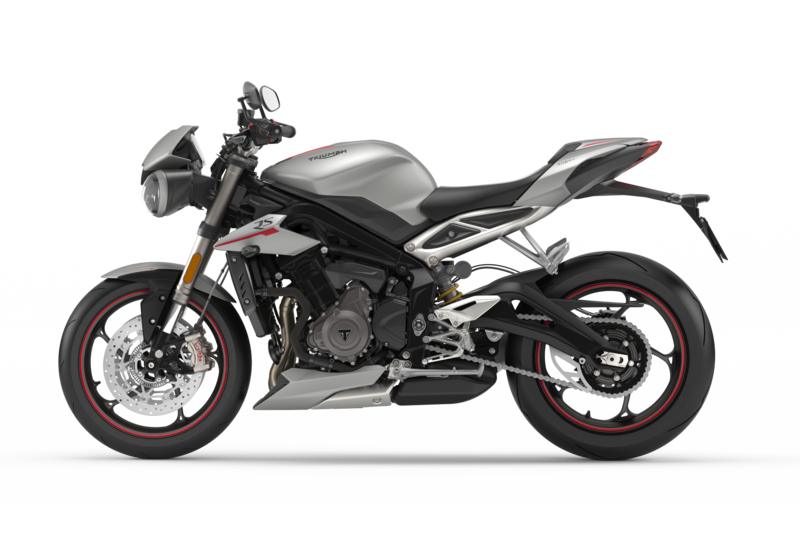 All three new Triumph Street Models get higher specification suspension and brake components too, with the range-topping 2017 Street Triple RS getting Showa big piston front forks, an Öhlins monoshock rear suspension unit and a four-pot Brembo monoblock front calipers clamping onto 310mm floating front discs. 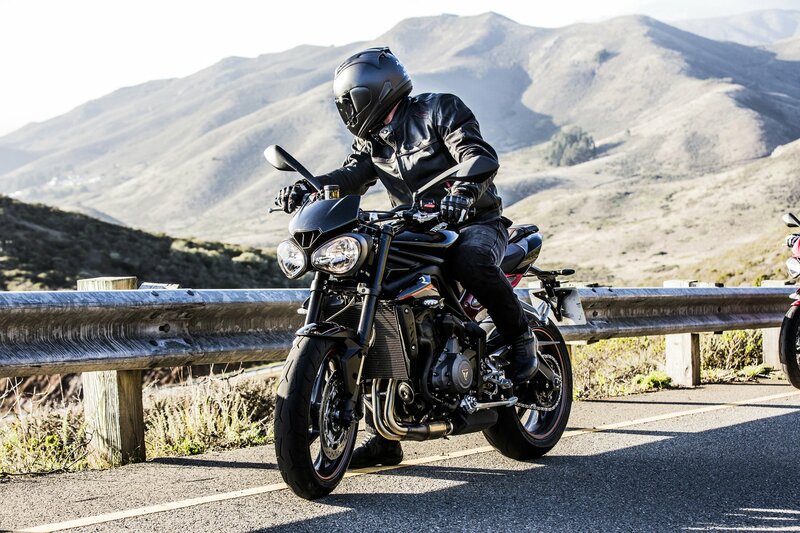 Combined with the more aggressive styling across the range, the new Triumph Street Triple family makes an inviting proposition whether you want a modern day café racer that can handle everyday riding, or you’re looking to swing your leg over the saddle for the first time. 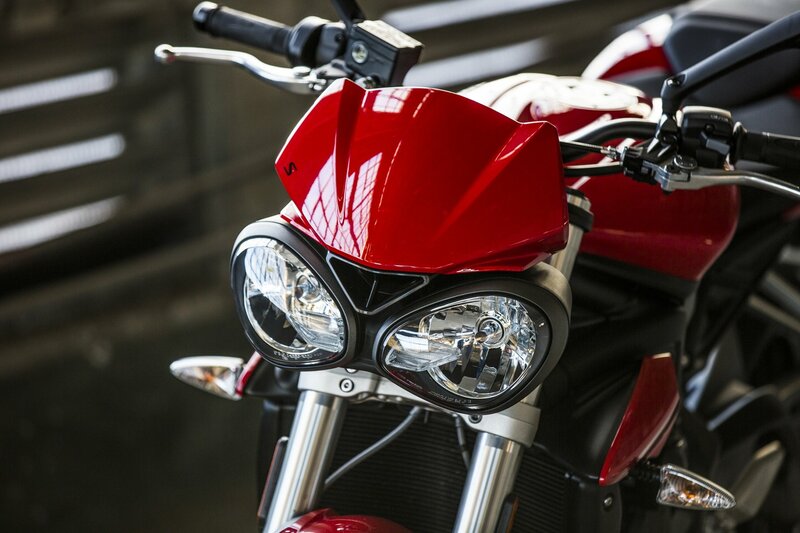 We can’t wait to ride one.